Solidarity Bridge medical programs seek to progressively improve both the quality of and access to surgical care in Bolivia, and the need is urgent. Surgical resources that easily treat disease and debilitating accidents in the United States remain inaccessible for the vast majority of the people in Bolivia. Equipping Bolivian hospitals and surgeons with needed instruments and supplies is essential to our mission, and you can help! 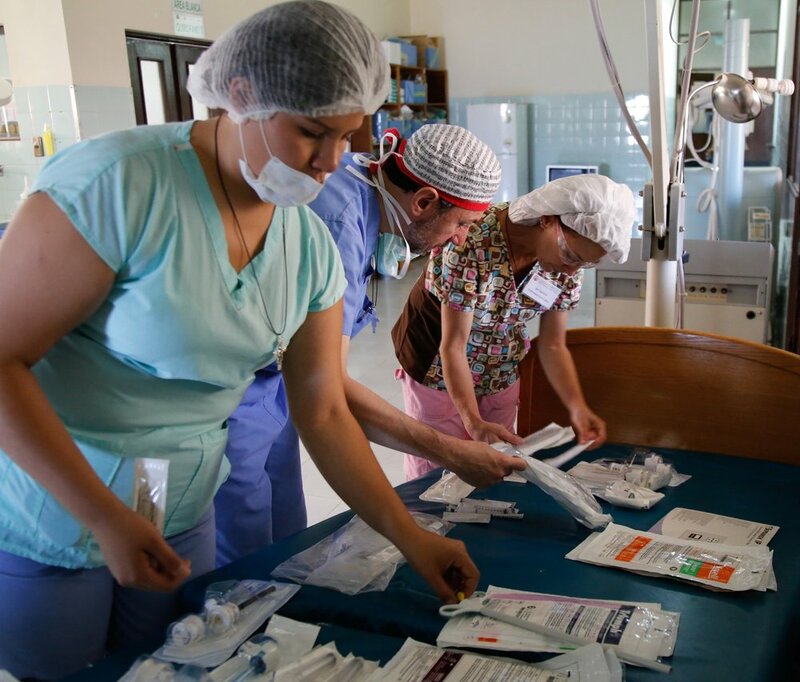 Your medical supply donations help equip hospitals in Bolivia to provide high-quality care to those living in deep poverty. Our Medical Supply Wish List is created in collaboration with our Bolivian medical partners. Before making an in-kind donation, please refer to our wish list and contact Jodi Grahl at (jodi@solidaritybridge.org) or 847-328-7748. In addition to sending a container shipment to Bolivia every other year, we ask missioners on each trip to hand-carry medical supplies in suitcases. Large, gently used suitcases are needed to help with this effort. Only large size suitcases may be donated, unfortunately smaller or carry-on size luggage cannot be used. To donate your suitcase, contact Christi De Jong. Fiesta is our annual gala held each spring. It is the most important fundraiser of the year for Solidarity Bridge, and provides crucial funding to help us serve more patients in Bolivia. Get involved with the event by donating live and silent auction prizes. Items can vary from restaurant gift cards to sports tickets to vacation rentals. Goods and services or exciting experiences around the Chicagoland area are most appealing to our guests. Contact Christi De Jong to discuss your donation.